Welcome to LLIS's quarterly newsletter. Policy Matters is part of our commitment (as The advisor’s insurance advisor®) to provide you with service, solutions, education, and information you can use to safeguard your clients’ wealth and future security. There are a number of factors that affect the possibility that your clients will need care such as age, disability, health status and living arrangements. According to medical and insurance companies, long term care is deemed necessary if someone cannot perform 2 of the 6 ADLs or has a severe cognitive impairment. Asset protection can protect savings, "non-countable" and countable Medicaid assets. 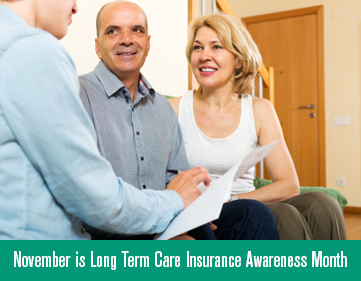 It's not just what long term care insurance can do for you, but what it can do for your loved ones. "Insurance Companies We Work With". We take your privacy seriously, and so in accordance with the CAN-SPAM act of 2003 we will only send you this email if you have indicated that you wish to receive email from us. If you do not wish to receive future emails from us, please click here to unsubscribe. Copyright 2019 LLIS. Contents may not be copied, reproduced or redistributed without prior written permission of LLIS or its affiliates.